FREE INSTANT MP3 DOWNLOAD WITH PRE-ORDER FOR THE LTD ED 8-INCH VINYL FIGURE! 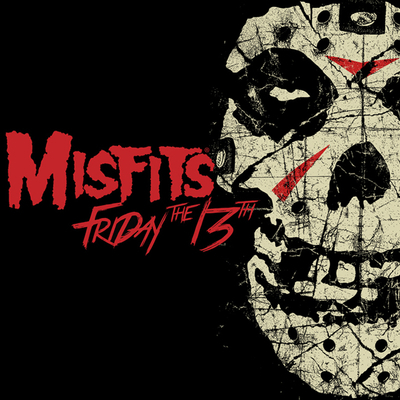 Hear the bells…See these claws…Feel these fangs…then Hop Like a Ghost! 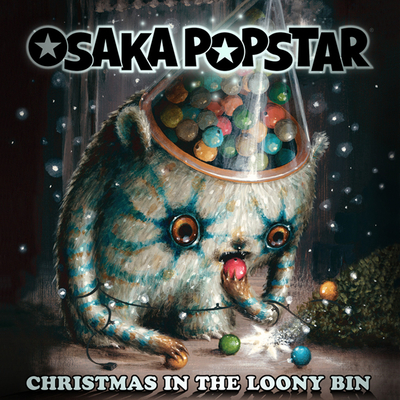 Osaka Popstar presents “Hopping Ghosts” the Ltd Ed. vinyl figure that comes complete with its own punk-rock theme song! Chinese vampire mythology takes a spin through the mind of Osaka Popstar creator/frontman John Cafiero, (who designed the figure and penned the accompanying single). Cafiero (vocals) is backed by a lineup featuring Dennis Diken (The Smithereens) Drums, Sal Maida (Cracker, Milk & Cookies, Roxy Music) Bass, and Dean Rispler (The Dictators NYC, Voluptuous Horror of Karen Black) Guitar. 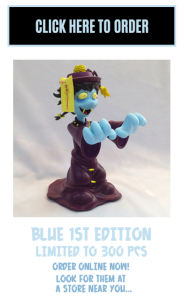 Each figure is 8-inches tall, with removable spell scroll accessory and comes packaged in a full color art box with free download card for the new single “Hopping Ghosts” by Osaka Popstar, plus an alternate “animated instrumental” version – as heard in the animated promo spot for the new vinyl figure line. Blue 1st Edition limited to 300 pcs, available for pre-order online now. 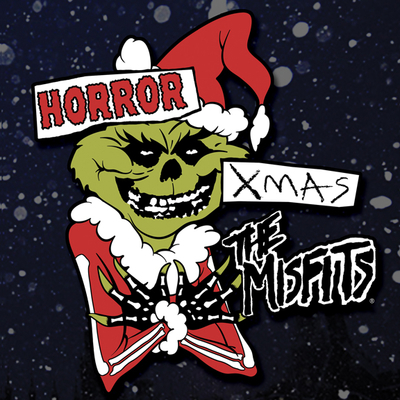 Green Variant limited to 100 pcs – available exclusively at the Misfits Records online store and Osaka Popstar online shop while supplies last! Visit the Hopping Ghosts satellite site for more info, images and to view the animated promo spot. Click the pre-order links below for photo galleries and larger views of the new figures. The single is also available separately iTunes, plus Amazon & wherever digital music is sold worldwide. What exactly is a Hopping Ghost…? Known as Jiangshi in Chinese folklore and kyonshī in Japan, hopping ghosts or hopping vampires are basically a breed of zombie; reanimated corpses dressed in traditional garments from the Qing Dynasty. Rigor mortis has set in so they can only move around by hopping with their arms outstretched! They can’t see using traditional vision, instead, they sense living creatures by their breath and seek to absorb the life force of the living. They can be stopped with a scroll to the forehead containing a spell written in a mix of ink and blood, and led by Taoist priests using bells. Some of the streets of Chinatown in NYC (like Doyers st. for example), are said to have been intentionally designed crooked to deter Hopping Ghost attacks; making it difficult for them to navigate through them. The mythology even inspired a string of fantastic Hong Kong films in the 1980s, most notably the “Mr. Vampire” series directed by Ricky Lau and starring the immortal Lam-Ching Ying. 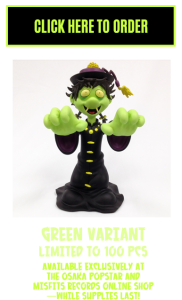 Ying is often referred to as the “Peter Cushing of Asia” and both he and Lau are given props by Cafiero on the box of the new “Hopping Ghosts” vinyl figures. In an effort to achieve true authenticity, the spell found on the scroll accessory of the Osaka Popstar “Hopping Ghosts” vinyl figures (and seen on the art for the new single), was written by an actual Taoist priest residing in Hong Kong. 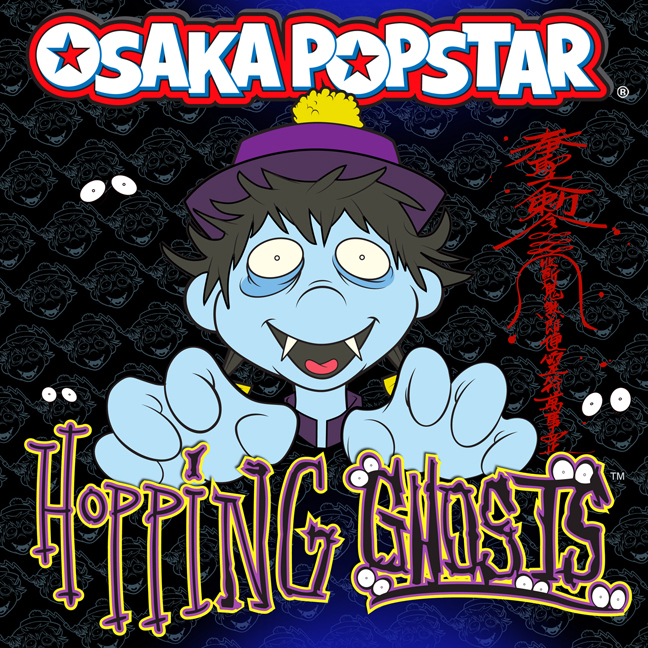 Beware of cheap imitations, look for official “Hopping Ghosts” vinyl figures available now from Osaka Popstar!